Dealer Authority VP, Erika Simms sat down with Oracle Bronto’s, Greg Zakowicz to chat about how DA clients are thriving through the use of third-party data on Facebook. 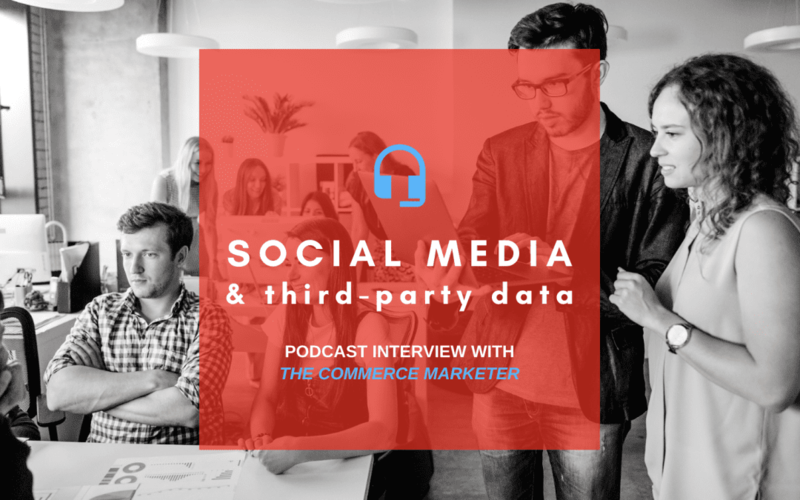 Before the close of 2018, Dealer Authority was given the opportunity to be a guest on Bronto’s The Commerce Marketer Podcast to chat with Greg Zakowicz, about all things social media marketing, and how third-party data impacts the engagement and leads that are driven from these marketing channels. This conversation not only dug into how these marketing avenues aid in continued month-over-month sales for the automotive industry, but also how social media, coupled with targeted third-party data, can impact online retail as a whole. There are so many businesses (automotive or not) in the eCommerce realm that sit on either side of the fence: “Facebook is amazing! It keeps my business constantly fueled with new leads”, or, “Facebook is a marketing budget guzzler and my business isn’t seeing any ROI.” We get it. It’s hard to keep up with all of the changes and regulations that Facebook must adhere to. The trickle down to Facebook’s advertisement end-users tends to be a bust (thanks Cambridge Analytica) and if you aren’t taking a moment to assess the KPIs (key performance indicators) that are making you think that Facebook was a win or a loss for your business, you could be missing out a valuable marketing resource that just might need some additional — refining. Dealer Authority became a partner with Oracle back in October of 2018, and since implementing third-party data on our clients accounts, we have seen an impressive amount of growth not only to their Facebook pages, but also to the dealerships’ websites. The overall health of their Facebook and website traffic saw significant improvement. For example, we have a client that saw a 29.7% increase in sessions driven from Facebook to their website, resulting in a 244% increase in active users on the website, with a 65.5% increase in average session duration (insert mic drop here.) With numbers like that — third-party data cannot be ignored. On top of impressive statistics, third-party data allows you to target specific audiences on social media. Being able to get your ad (and brand for that matter) in front of the exact audience that can end in a sale is crucial and alleviates the stress of wondering if the marketing dollars you are spending on Facebook are actually working. Oracle Data lists include audiences such as specific credit scores (say what!? ), body style, new or used vehicle shoppers, and even demographical details like the number of children in a family, age ranges, household income and so on. Considering the numbers and the possibilities that third-party data can offer, we have to ask, why wouldn’t you use it as part of your dealership’s digital marketing strategy?